Unfortunately, we are unable to offer Tenebrae this year given our current people resources. Please invest yourself in the other possibilities. We hope that his service can be restored next year! A Mediterranean meal will be served, feet will be washed, and Holy Communion will be shared at tables in a family friendly service in the Parish Hall. A voice solo, piano and harp music, and Taize chants will enrich the evening. The church altar will be stripped bare as the evening draws to a close. Childcare is available. 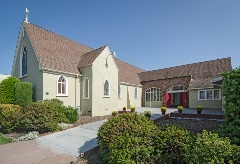 An ecumenical San Leandro service will be offered at St. Leander's Church. Rev. Karen will be one of the seven preachers representing key churches in the city. She will be the sixth preacher speaking to Jesus' words "I thirst." A Good Friday service from the Prayer Book will be offered at All Saints, including the reading of John's Passion Gospel and devotions to the cross. Rev. Kathryn will preach, meditative violin music will be played, and anthems chanted as worshippers gather at the large wooden cross. The Paschal candle will be lit, the Exsultet chanted and key stories of the faith will be told in semi-darkness. The resurrection of Christ will be proclaimed, the full lights will come on, and the first Eucharist of Easter will be joyfully celebrated. Piano, trumpet, violin and flute music will be included. Celebratory Holy Eucharist services will mark this most joyful of days. The church will be fully decorated. At the later service, the children will decorate the cross with flowers, and a quartet will sing. An Easter brunch and egg hunt will follow. We're almost ready, but we still need a few things for our Easter celebration. Our very cool teenagers need candy and plastic eggs to prepare for the children's Easter Egg Hunt. Although bringing the eggs and candy to a Holy Week service or to the church office between 10 a.m. and 2 p.m. this week will help most, contributions are welcome as late as Easter morning. This is also true of the loose flowers which will be used by the children to decorate the cross at the mid-morning service. Thanks for helping! We, the Search Committee, would like to thank all those who came to the Day of Discovery on March 22. We are grateful that so many of you stayed until the end....making it a very long day. We truly appreciated your participation and thoughtful information. It was a wonderful day of story- telling and sharing. One of our youths said that she had never spent so much time in the company of adults and that she found it very encouraging that many of us (adults) have experienced what she has and that we are all on the journey together. The Day of Discovery has given the Search Committee a wealth of information that we are continuing to distill. What has come out very clearly is the All Saints is a church that truly believes that, " Whatever you believe, whatever your experience of organized religion has been and wherever you are on your spiritual journey, you are welcome here at All Saints." Standing out in importance are the feelings of safety of being a member of our church, of acceptance of each other for who we are and where we are, the joy of our worship services, our traditions, our willingness to try new things, our outreach to the community, the freedom of thought, the encouragement to spiritually grow, serving others within and without of our congregation, the importance of our children's and youth's programs, our music together, belonging to the community of All Saints, our welcoming to all who come through our doors, our sense of family, and our heart-felt Holy Week Services. Also mentioned were our wonderful memorial services for those members who have passed to a new life. Goals for All Saints tended to focus on several things. Financial stability was at the top of the list. Following that was more growth, not in order to improve our financial stability, but because we truly want to encourage more people to join us in the worship at All Saints. We want more families and children running through the building, laughter, togetherness (especially between the two services), more service opportunities within the community, more involvement of the youth in our programs, more adult education and expanded social justice programs. If you were not able to attend, we are including the questions that were asked of each member present. If, after reading the above, you feel that there are things that need to be added, please do. You may certainly take the time to fill out the questionnaire and leave it at the office. It must be received by April 14 at the latest so that we many discuss any new ideas that come forth. There are also paper copies of these questions on the table in the narthex (foyer) of the church, and in the church office, for members you know who may not use the computer. At this point we begin completing the paperwork required of the Diocese which will go out to priests seeking a new call. We will also be completing a booklet which includes much of the information from the annual report, plus pictures, and lots more about what we do at All Saints. We want a new priest who wants to help lead us into the future and one who can relate to all of us. We would also like to thank Rev. Karen for all the hard work she has been doing both with this committee and All Saints. The role of an interim priest is difficult as she works as our priest, gives us her all, and knows that her job is to help us find someone to replace her. We anticipate that a call will go out in early summer with applicants responding during the summer. By late summer or early fall, we will be going through the applicants and interviewing those we feel the most positive about. The committee will select three of four candidates for our Vestry to interview and consider. Once we have provided the Vestry with those candidates, the Committee's job will be done and the Vestry will then decide on our new rector. We continue to ask for your prayers as we discern the needs of our parish, our wishes and goals, and the type of person we are seeking to lead us forward. Please understand that we meet with appreciation for each other's strengths and value each person's contributions within the committee. Best Experience: Reflect on your entire experience with your congregation. Recall a time when you felt most alive, most involved, spiritually touched, or most excited about your involvement. Tell me about this experience. What made it an exciting experience? Describe how you felt. Describe the impact of the experience. Worship: Tell me a story about the best worship experience you have had at All Saints. What made it memorable? Describe what you did as a result of the experience. Being a parishioner: When you feel best about being a parishioner at your church, what about yourself do you value? Your Church: What is it about your church that you value: What is the single most important thing that your church has contributed to your life? Your denomination: What is it about your denomination that you value? What is the single most important thing that your denomination has contributed to your life? Core Value: What do you think is the core value of your church? What life-giving quality is distinctive in your church? What is the essential quality of your church that makes it what it is? Three Wishes: If God gave you three wishes for your church, what would they be? This annual Crab Feed Social was one of our best attended, really big, fun events of the year. It was also one of our most successful fund raisers too. There were 128 attendees who consumed three hundred pounds of fresh, cracked, Mendocino Coast crab. We netted almost $4000 to help support the activities and outreach programs of All Saints Parish. It was a much anticipated get together of members from both early and late services and many reserved whole tables for family and friends. The theme was "Western" and the decorations and the entertainment reflected that. There was a happy, lively feeling that pervaded throughout the evening . Master of Ceremonies, Jeff Korst started things off with an air of fun and gayety and this continued through the ever popular sing-a-long of old favorites, the jokes and the raffle prizes and, of course, the All-You-Can-Eat Crab. The menu was extensive and Western themed also. It was mostly home made by Chef Kathleen Waters and delicious. Appetizers of Cowboy Caviar and other items were offered around the room by our effervescent teen servers. Vegetarians were treated to a delicious gourmet entrée and chicken was provided for non-crab eaters. The penne pasta course had the tastiest sauce in living memory. Our Crab Feeds are a celebration of our church and it is family friendly with baby and child care provided for the tiny ones and free food for those under eight. Everyone in our All Saints family is welcome and there are always some extra tickets, donated by generous parishioners and discretely available from Rev. Karen, so that all may attend and share in the fun and fellowship. Be sure to think ahead for next year when we celebrate 44 years! It took thirty-five people to put on this big event. It was a lot of work but the fun and camaraderie makes it all worthwhile. I apologize if I missed anyone's name. Spring Cleaning Morning, Saturday March 28th. This year we continued our All Saints tradition of sprucing-up our wonderful facility to make it look even more, inviting for Easter Week celebrations. A dedicated crew showed up and really made our sacred spaces look special. Mary Kincaid got the Kitchen crew rolling after setting out the pastries and coffee that fueled us all morning. Maxine Sitts and Amanda Hillery cleaned the kitchen cupboards, the stove, the counter tops and the Scullery room. Irene O'Hair cleaned the pews, window sills and dusted everywhere in the Sanctuary while Claire Burke damp mopped the entire Nave and the Narthex. Connie Camp helped with the cleaning after decorating for Palm Sunday. Linda Chapman, Nancy Churchill, Tom Breckenridge and John Owens washed the Narthex and Hall windows inside and out. 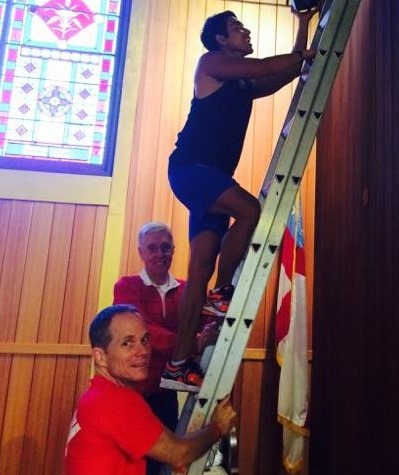 Brad Diesta-Troutman and Alejandro Troutman-Diesta worked with John Owens changing the light bulbs above the altar. Bill O'Hair refastened the transition strip between the front deck and the ramp, then came and helped John Owens and me (JK) repair the "frozen" drape in the Hall. Charlie Field came and filled a whole green waste container while cleaning the children's play yard and the drain area at the rear of the building. Thanks to all who came and made our church sparkle. The All Saints Parish community hosted yet another spirited food pantry in March, highlighted by a youth group of volunteers from First Presbyterian Church. The group of eight came to All Saints to serve as part of their witness to world hunger. They were on a 30-hour fast and were participating in other activities to raise money for World Vision. Their presence boosted our volunteer total to 41 for the day as we distributed groceries to 100 well pleased guests. We have altered our pantry schedule somewhat by focusing our time and energy on our guests and eliminating the volunteer lunch. Beginning in April, we're asking volunteers to arrive at 11:30 for set up. The hospitality room will open at 12:00. Food distribution continues to be 1:00 to 2:00. The Social Ministries Team met in February to discuss disbursements of $1,000 of Social Ministries funds. Several very worthy causes were brought forth, so the team decided more time was needed to research the possibilities. The next meeting will be on Sunday, April 26 at 12:00 in the Fireside Room. Blessings for your support of the Social Ministries programs at All Saints. To support Artful Steps and the SFA Foundation by making a tax-deductible donation, go to my webpage, classy.org/artfulsteps2015. You can hear Sing for America in concert on April 19, 2015, 7PM, at the Palace of Fine Arts. One performance only! The concert's featured guests will be the Oakland Interfaith Choir and Livingston Taylor. You can buy tickets to the show by using my unique singforamerica.org box office code, SFA030. 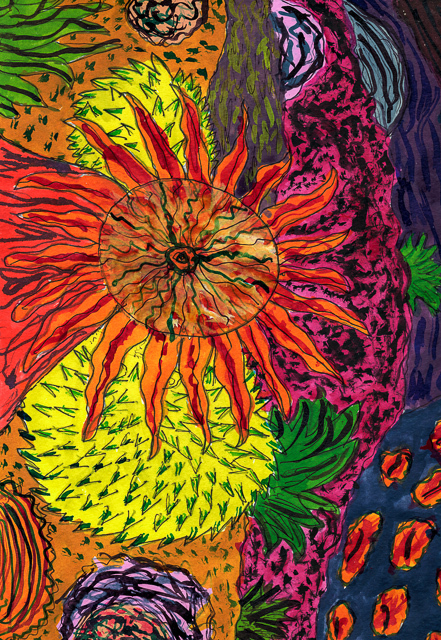 Half of the ticket price will go directly to Artful Steps. You may also write a check, made out to Sing For America, including my special code, SFA030, in the memo area. Cash donations and checks may be given directly to me. More Events Coming Up! Save the Dates! All Saints will celebrate Cinco de Mayo with a family-friendly Mexican dinner at 5:00PM on Saturday, May 2. Irene O'Hair will be our chef for this occasion. Proceeds will benefit Corazon House Building outreach program. More details about this celebration will be available soon. Save the date and start collecting your stuff! A great opportunity to clear out stuff you don't need and raise some money for all that we do.